One of the minor differences between ADOM RPG (see the Kickstarter and help us fund more stretch goals) and other roleplaying games always has been that there are 12 dominant star signs that govern the sky (one is predominant in each of the twelve months of the year). Additionally there are Darknight and Silvernight (the former one has a completely black sky without any stars or moon and thus is seen as a night of strong evil while the latter has all the star signs and moon clearly visible as is regarded as a night of good luck and portent positive omens). Each of the 12 star signs has some special effect (or several effects) on “special” people – the player characters in ADOM RPG are such special people, so there need to be effects defined that slightly alter them. As ADOM RPG is conceived as a fast & furious old school rules system we don’t want to attach fiddly rules to this. We also don’t want to attach rules that slow down the character generation process too much. In the ADOM computer game fiddly rules additions never have been a problem because the vast majority of fiddliness is handled by the computer and players just need to keep general factors in mind. For the RPG we obviously need to look for simple modifications. 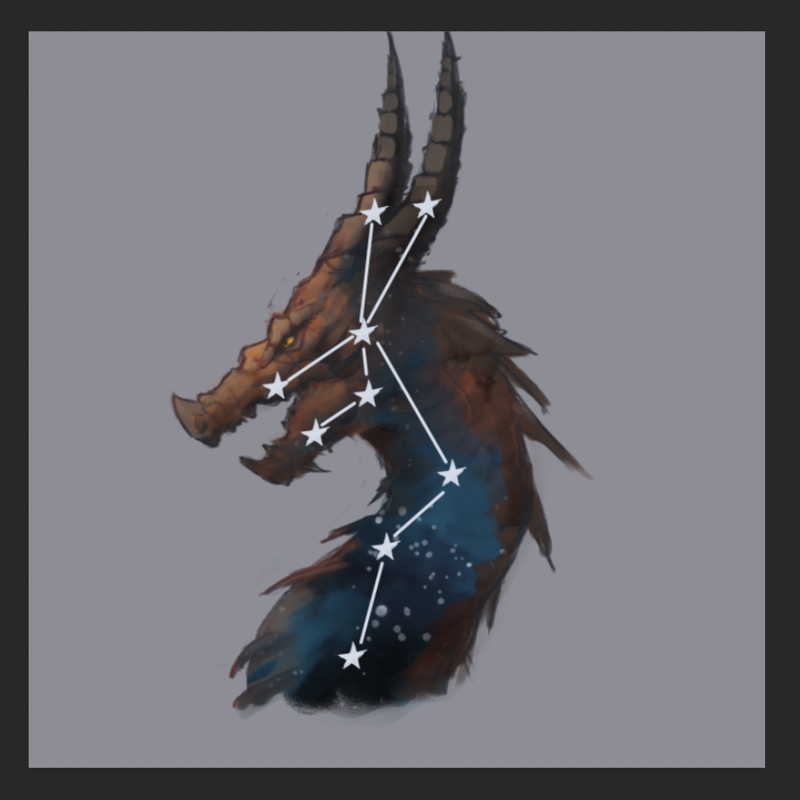 “Addons” like star sign modifiers often carry the danger to move players towards optimal builds (if a star sign were to give you +2 to Strength, it’s pretty obvious that most fighting classes will want to have this star sign – which does not make for a good design). Be fast to handle during character generation and the actual game. Do not create “must have” star signs for certain classes (although being slightly more useful for one class than for another can be ok, as long as there also is a slight disadvantage attached; choices always should be somewhat painful – otherwise they aren’t interesting). The system will be different from the computer game (because the computer game works differently and we don’t want to force anyone to have a computer at hand to be able to play the game). Each star sign provides three benefits (to make them colorful and feel special; a single effect does not carry enough flavor). One of the three effects is broadly useful but not overly powerful. One of the three effects will be a narrow add-on to the broad effect. One of the three effects will be a very narrow specialization (for even more flavor). The broadly useful effect will be useless for classes for which the other two effects are useful improvements (this should help balancing star signs and prevent obvious choices from existing). Obviously we did not add anything special to stress rulership as a star sign aspect – but you can expect rulers born under the Dragon star sign probably to be of the forceful type of ruler. In this way we hope to both carry over Ancardian flavor into the rules and make them easy to use. Selecting a star sign (by default; naturally the Game Master can change this) is one quick die roll. So it barely slows down character generation. 12 star signs wait for you – enjoy! We’d be happy to show you more of Ancardia and the ADOM RPG if you join our Kickstarter! BTW, the art in this article has been created by Bastian von Gostomski, one of our team artists. He also did the covers for the two ADOM RPG manuals, the faction portraits and other related stuff. You will see a lot more of him in the future! P.P.S. 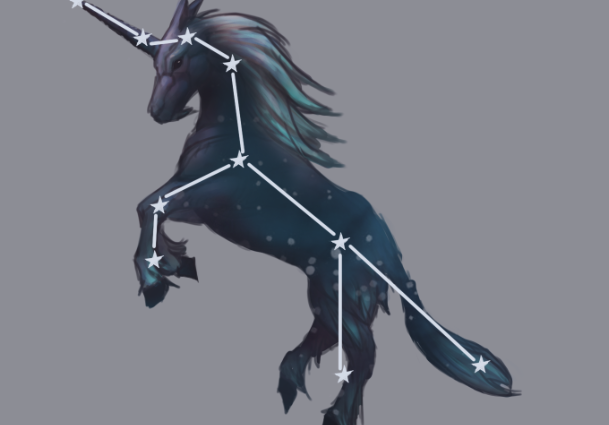 for ADOM players: You noticed that the Unicorn star sign is a black unicorn, didn’t you? Is that interesting, confusing or bewildering? Previous Post: ADOM RPG is funded!